A promising youth theatre performance following Bound Theatre’s year long hiatus. Youth theatre occupies an interesting space in any theatre scene, dancing on the margins where they are neither considered amateurs nor professionals, with us always hoping they’ll spend time honing their craft and eventually becoming theatre professionals of tomorrow. 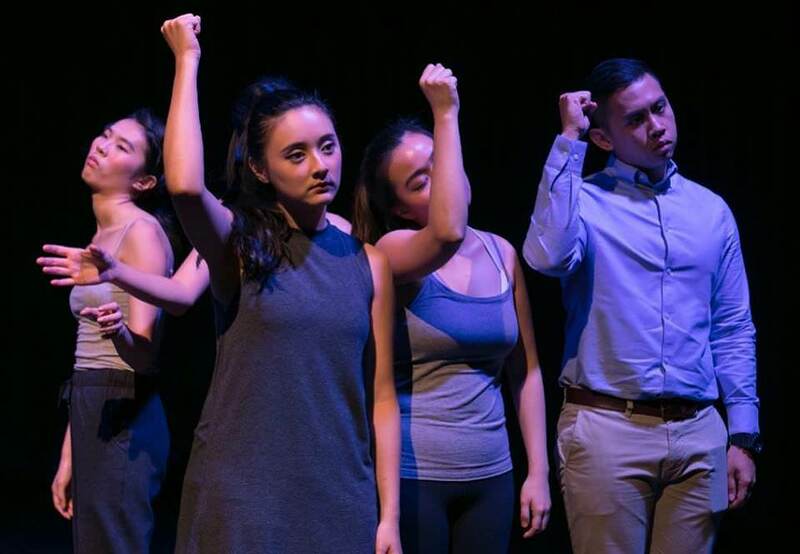 Promisingly, after a year long hiatus, Bound Theatre has returned to the scene with their latest full length production, a brand new devised work entitled The Taste of Water. Directed by Wee Xuan Yi and written by Teng Zi Ying, The Taste of Water is a modern love story about the complications of human relationships. When Oscar (James Chin) meets childhood crush Joycelyn (Erika Maguicay) at the airport by chance, the two rekindle a lost spark that they thought they’d lost after a traumatic incident years ago. The only problem is – they’re both attached in respective, unhappy relationships. As they work through the sweet memories of the past, they must make one of the most difficult decisions of their lives – do they remain faithful, or pursue happiness? There is a refreshing touch to The Taste of Water that makes this production brim with youthful energy throughout the performance. 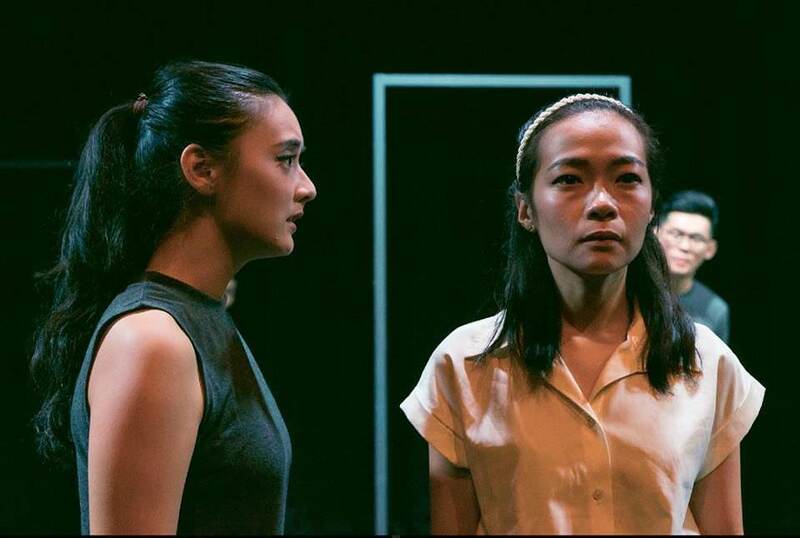 The ‘youth’ nature of the play shows clearly in how much of the play actually takes place in the past, with younger versions of Oscar and Joycelyn (Wee Jia Yi and Wendi Wee Hian respectively) attending secondary school alongside their fellow schoolmates. Oscar and Joycelyn’s relationship is built up over a series of recognizable high school tropes, with the painfully awkward, art-inclined Oscar never fully admitting his feelings for perfect prefect Joycelyn. While adorable for the most part, one wishes that there was truly gripping that would anchor us to both these characters and root for their relationship, difficult when the eventual conflict feels far too melodramatic and minor to result in the fallout that follows. Bound Theatre has also adopted an ensemble style performance, with the remaining members forming a phalanx that performs interpretive, abstract shapes relating to each scene. There are times the ensemble is used very effectively to add depth and innovation to a scene, such as how when adult Oscar spends time painting, the ensemble comes together to become an enigmatic figure, shifting and flowing with every brushstroke. In a classroom scene, the ensemble works well together to echo a series of instructions that become a rhythmic chant, highlighting the monotony of the rote learning style adopted in education. While it is commendable that there was an effort to utilise a large cast in such a manner, one also questions the necessity of utilising them in almost every scene, at times feeling extraneous, and particularly confusing when they take over as the voices of Oscar, Joycelyn and their peers. What the production does get right however, is the present day adult storyline. 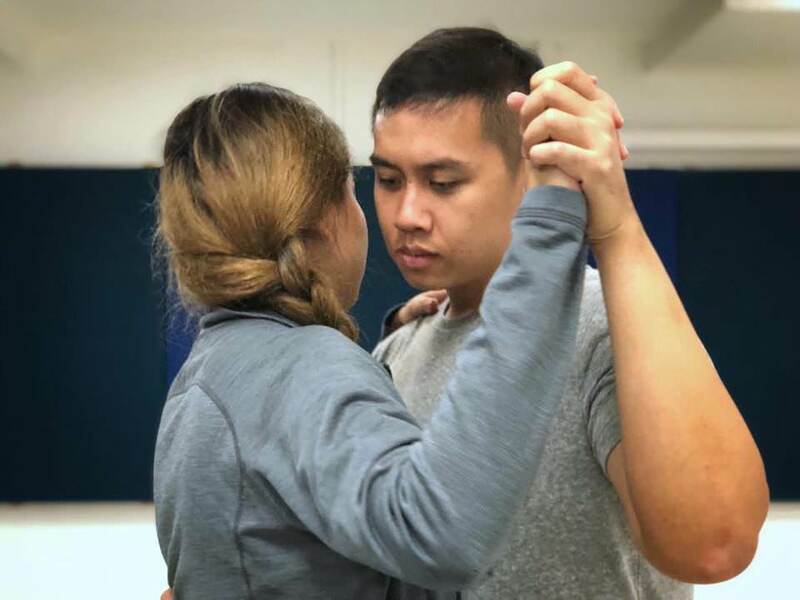 As Oscar and Joycelyn cautiously tiptoe around each other emotionally, one feels genuine trepidation and tension emanating from both actors even in a simple dining scene as they catch up with each other. Teng Zi Ying’s writing shines strongest here with its natural pacing and sense of melancholic nostalgia, anchored by a strong performance by Erika Maguicay, who captures the manic pixie dream girl aspects of Joycelyn perfectly in the air of mystery she exudes and later, her affecting outburst of emotion that exposed her raw vulnerability onstage. 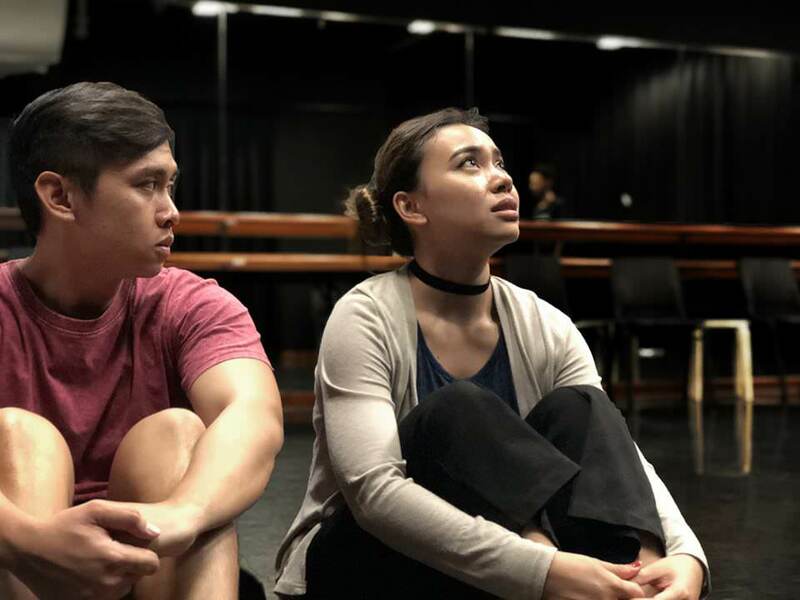 While there is still plenty of room and space to develop, The Taste of Water is a well-performed youth theatre production, hinting at a growing maturity for the subject matter Bound Theatre is attempting to tackle. 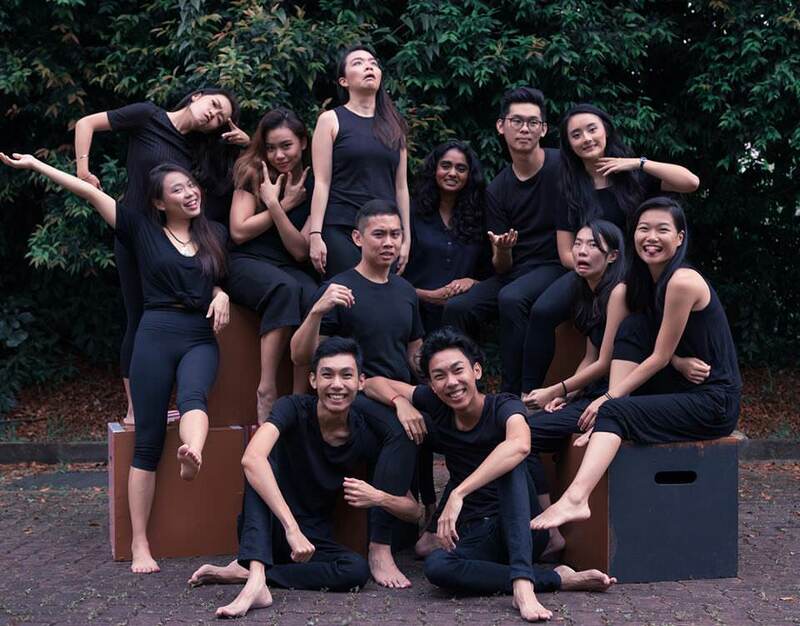 Given the right dramaturgy and training, there is potential for this group to break into the professional scene in the future, and we’re interested to see how they continue to bring to the stage fresh new perspectives on life through theatre. The Taste of Water played at the Goodman Arts Centre Black Box from 3rd – 5th August.